All this is not to argue that there is no way of raising wages. It is merely to point out that the apparently easy method of raising them by government fiat is the wrong way and the worst way. This is perhaps as good a place as any to point out that what distinguishes many reformers from those who cannot accept their proposals is not their greater philanthropy, but their greater impatience. The question is not whether we wish to see everybody as well off as possible. Among men of good will such an aim can be taken for granted. The real question concerns the proper means of achieving it. And in trying to answer this we must never lose sight of a few elementary truisms. We cannot distribute more wealth than is created. We cannot in the long run pay labor as a whole more than it produces. The best way to raise wages, therefore, is to raise marginal labor productivity. This can be done by many methods: by an increase in capital accumulation — i.e., by an increase in the machines with which the workers are aided; by new inventions and improvements; by more efficient management on the part of employers; by more industriousness and efficiency on the part of workers; by better education and training. The more the individual worker produces, the more he increases the wealth of the whole community. The more he produces, the more his services are worth to consumers, and hence to employers. And the more he is worth to employers, the more he will be paid. Real wages come out of production, not out of government decrees. So government policy should be directed, not to imposing more burdensome requirements on employers, but to following policies that encourage profits, that encourage employers to expand, to invest in newer and better machines to increase the productivity of workers — in brief, to encourage capital accumulation, instead of discouraging it—and to increase both employment and wage rates. The government may try to assure supply through extending its control over the costs of production of a commodity. To hold down the retail price of beef, for example, it may fix the wholesale price of beef, the slaughter-house price of beef, the price of live cattle, the price of feed, the wages of farmhands. To hold down the delivered price of milk, it may try to fix the wages of milk truck drivers, the price of containers, the farm price of milk, the price of feedstuffs. To fix the price of bread, it may fix the wages in bakeries, the price of flour, the profits of millers, the price of wheat, and so on. But as the government extends this price-fixing backwards, it extends at the same time the consequences that originally drove it to this course. Assuming that it has the courage to fix these costs, and is able to enforce its decisions, then it merely, in turn, creates shortages of the various factors — labor, feedstuffs, wheat, or whatever—that enter into the production of the final commodities. Thus the government is driven to controls in ever-widening circles, and the final consequence will be the same as that of universal price-fixing. The government may try to meet this difficulty through subsidies. It recognizes, for example, that when it keeps the price of milk or butter below the level of the market, or below the relative level at which it fixes other prices, a shortage may result because of lower wages or profit margins for the production of milk or butter as compared with other commodities. Therefore the government attempts to compensate for this by paying a subsidy to the milk and butter producers. Passing over the administrative difficulties involved in this, and assuming that the subsidy is just enough to assure the desired relative production of milk and butter, it is clear that, though the subsidy is paid to producers, those who are really being subsidized are the consumers. For the producers are on net balance getting no more for their milk and butter than if they had been allowed to charge the free market price in the first place; but the consumers are getting their milk and butter at a great deal below the free market price. They are being subsidized to the extent of the difference—that is, by the amount of subsidy paid ostensibly to the producers. Now unless the subsidized commodity is also rationed, it is those with the most purchasing power that can buy most of it. This means that they are being subsidized more than those with less purchasing power. Who subsidizes the consumers will depend upon the incidence of taxation. But men in their role of taxpayers will be subsidizing themselves in their role of consumers. It becomes a little difficult to trace in this maze precisely who is subsidizing whom. What is forgotten is that subsidies are paid for by someone, and that no method has been discovered by which the community gets something for nothing. Everything, in short, is produced at the expense of forgoing something else. Costs of production themselves, in fact, might be defined as the things that are given up (the leisure and pleasures, the raw materials with alternative potential uses) in order to create the thing that is made. It follows that it is just as essential for the health of a dynamic economy that dying industries should be allowed to die as that growing industries should be allowed to grow. For the dying industries absorb labor and capital that should be released for the growing industries. It is only the much vilified price system that solves the enormously complicated problem of deciding precisely how much of tens of thousands of different commodities and services should be produced in relation to each other. These otherwise bewildering equations are solved quasi-automatically by the system of prices, profits and costs. They are solved by this system incomparably better than any group of bureaucrats could solve them. 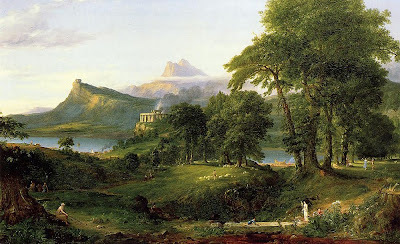 For they are solved by a system under which each consumer makes his own demand and casts a fresh vote, or a dozen fresh votes, every day; whereas bureaucrats would try to solve it by having made for the consumers, not what the consumers themselves wanted, but what the bureaucrats decided was good for them. Yet though the bureaucrats do not understand the quasi-automatic system of the market, they are always disturbed by it. They are always trying to improve it or correct it, usually in the interests of some wailing pressure group. What some of the results of their intervention are, we shall examine in succeeding chapters. 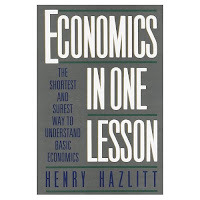 By far the most concise and easy to digest economics book I have read is Economics in One Lesson by Henry Hazlitt. It deftly dispatches a wide range of well worn economic fallacies in a little over 200 pages. It, along with an amazing amount of other economic literature, can be found for free at the Foundation of Economic Education (FEE.org). It is a classic cornerstone of any economic library, and after reading the pdf, I certainly recommend getting your own copy. In this lies the whole difference between good economics and bad. The bad economist sees only what immediately strikes the eye; the good economist also looks beyond. The bad economist sees only the direct consequences of a proposed course; the good economist looks also at the longer and indirect consequences. The bad economist sees only what the effect of a given policy has been or will be on one particular group; the good economist inquires also what the effect of the policy will be on all groups. The distinction may seem obvious. The precaution of looking for all the consequences of a given policy to everyone may seem elementary. Doesn't everybody know, in his personal life, that there are all sorts of indulgences delightful at the moment but disastrous in the end? Doesn't every little boy know that if he eats enough candy he will get sick? Doesn't the fellow who gets drunk know that he will wake up next morning with a ghastly stomach and a horrible head? Doesn't the dipsomaniac know that he is ruining his liver and shortening his life? Doesn't the Don Juan know that he is letting himself in for every sort of risk, from blackmail to disease? Finally, to bring it to the economic though still personal realm, do not the idler and the spendthrift know, even in the midst of their glorious fling, that they are heading for a future of debt and poverty? Yet when we enter the field of public economics, these elementary truths are ignored. 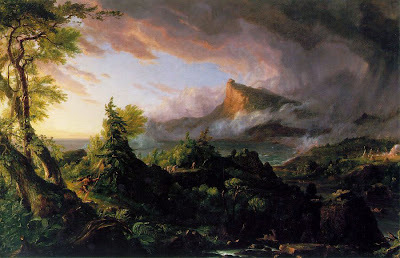 There are men regarded today as brilliant economists, who deprecate saving and recommend squandering on a national scale as the way of economic salvation; and when anyone points to what the consequences of these policies will be in the long run, they reply flippantly, as might the prodigal son of a warning father: “In the long run we are all dead.” And such shallow wisecracks pass as devastating epigrams and the ripest wisdom. But the tragedy is that, on the contrary, we are already suffering the long-run consequences of the policies of the remote or recent past. Today is already the tomorrow which the bad economist yesterday urged us to ignore. The long-run consequences of some economic policies may become evident in a few months. Others may not become evident for several years. Still others may not become evident for decades. But in every case those long-run consequences are contained in the policy as surely as the hen was in the egg, the flower in the seed. From this aspect, therefore, the whole of economics can be reduced to a single lesson, and that lesson can be reduced to a single sentence.